These days, almost every aspect of our life could be digitized and stored as data. From contact lists to office works, from private poems to family vacation videos; all has been turned into sets of binary codes. We even move our social life to the virtual world. That’s why modern people can afford to lose their computers but not the data inside. 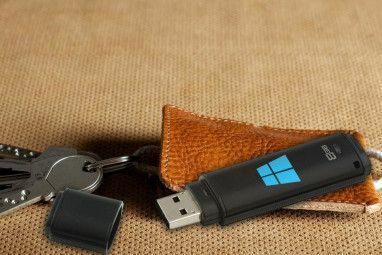 That’s also why the necessity of backing up your data is unquestionable. 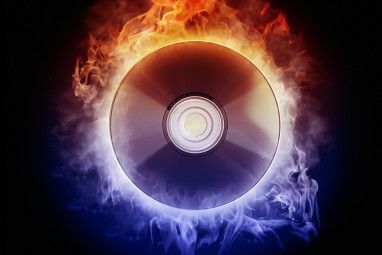 One of today’s most popular and practical method of data back up is disc burning, and there are two popular disc formats used by the masses: CD (up to 700 MB worth of data) and DVD (up to 4.7 GB worth of data). Mac OS X comes with its own built-in disc burning feature and users have several ways to access it. I’ll show you how to use native Mac apps to burn CDs and DVDs for free without installing anything. Mac users can burn their music, photo and movie collection directly from the respective iLife applications. There’s a “Burn Disc” button in iTunes, The “Share –> Burn” menu in iPhoto, And the burn button in iDVD. You can create a Burn Folder in Finder by choosing “File –> New Burn Folder” menu or by using “Command + Shift + B” key combination. Give name to the folder and then drag and drop the files and folders that you want to backup. After everything is in place, open the burn folder and click the “Burn” button on the top right corner of the window. The advantage of using Disk Utility is that you can create multisession disc. Just make sure you tick the “Leave Disc appendable” box before you start burning. Mac OS X built-in disc burning feature has some limitations. The main one is that users should use different apps to create different kind of discs, and the kinds of disc that can be created is limited. That’s why there are still so many users who use third party disc burning application. We mentioned some of them in the article about free alternatives to Nero The Best, Free Alternatives to Nero CD/DVD Burner The Best, Free Alternatives to Nero CD/DVD Burner Don't waste money on a CD/DVD burning tool! A freeware application might be all you need. Here we have compiled five alternatives to Nero Burning ROM for your Windows PC. Read More CD / DVD burner. One good and free alternative of such app is Burn. This is an all-in-one, easy to use disc-burning software for Mac that has the ability to burn different kinds of discs with only a few clicks. To use Burn, choose the type of disc you want to create from one of the tabs on the upper part of the window. There are three main types of disc available: Data, Audio, Video, with an additional ability to Copy disc. The next step is to drag and drop the files you want to burn into the main window. Then, give the disc a name and click “Burn”. That’s it. No more complicated processes necessary. There’s a list of adjustable sub-types of disc next to the name field. Other settings can be changed from the Preferences menu. To create a multisession disc, be sure to check to the “Allow more sessions” box. And if you use CD-RW or DVD-RW, there’s the option to erase the disc before burning. Burn is by far the easiest disc burning software that I’ve come across. 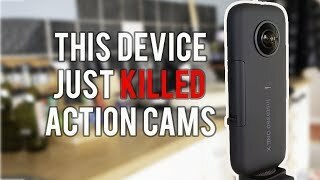 I also think that this one is better than most of the paid competitors. Have you tried Burn? Do you know other alternatives to burn CDs and DVDs for free? Share your burning experiences in the comment below. I forgot how great is Apple. I forgot how great Apple is. I can't seem to burn multisession discs with Burn... the option is never enabled. Almost the same here. The option is enabled when I'm using CDs, even with CDs-R. However it's never enabled with whatsoever DVDs. It happens with Disk Utility as well. While it's true you can burn a backup CD directly from iTunes, it's not part of the iLife suite of applications and never has been a part. The iLife suite consists of iPhoto, iMovie, GarageBand, iWeb, and iDVD.